The Sirisena-Wickremesinge government in Sri Lanka will give priority to drafting a new constitution for the country over setting up war crimes accountability mechanisms. COLOMBO: The Sirisena-Wickremesinge government in Sri Lanka will give priority to drafting a new constitution for the country over setting up war crimes accountability mechanisms like the Judicial Mechanism and the Truth-Seeking Commission, Foreign Minister Mangala Samaraweera said here on Tuesday. Speaking to the Foreign Correspondents Association, Samaraeera said that the new constitution, which is the basic law of the land, would guarantee democracy, equality and fair play – conditions which are essential for national reconciliation. A new democratic constitution is also an election promise made by President Maithripala Sirisena, he reminded. Samaraweera said that the constitutional sub-committees’ reports will be placed before the Constitutional Assembly in a few months, and that he is confident that the draft constitution will be passed by the required two-thirds majority, given the present composition of the House. But the result of the mandatory referendum would be anybody’s guess, he added. He cited the surprise thrown up by the referendum in the UK on Brexit, to stress the uncertainty surrounding referendums. Tamil sources told Express on Wednesday that given the complexities of constitution drafting and the conflicting views on core issues like the form of government and devolution of power, the constitution making process may drag on interminably, putting off plans to establish war crimes accountability mechanisms. And if there is a Sinhalese consolidation against devolution of power to the Tamils, the Tamils may have to reject the new constitution lock, stock and barrel. In this context, if the judicial and truth-seeking mechanisms are to follow finalisation of the constitution and not precede it, as Samaraweera said, the Tamils might up getting neither a satisfactory devolution of power nor a satisfactory judicial and truth-seeking mechanism. About the nature of the Judicial Mechanism, Samaraweea said that it will be a domestic one with foreign participation. But it will certainly not have foreign judges, because that will mean changing the laws of the country. “We are not against foreign participation, but having foreign judges would need an amendment of the law on the judiciary. At any rate, the UN Human Rights Council has accepted our proposal for a credible and independent domestic mechanism.The UN Human Rights High Commissioner had also said, during his visit to Sri Lanka, that it is Sri Lanka’s sovereign right to decide what form the judicial mechanism will take,” Samaraweera said. The Sirisena-Wickremesinghe government has been consistently saying that it may use foreign expertise in forensics, but will not accept foreign judges. Previously, foreign ex-judges had participated in Sri Lankan Commissions of Inquiry but these committees had no judicial function. Samaraweera also said that the proposed Truth Commission will not be a copy of the South African Truth Commission but will be a homegrown one, which, unlike the South African one, will have a provision for judicial action in cases such action may be called for. In the South African model, confessions were followed by a mandatory pardon. There was no judicial action after the admission of guilt. Samaraweera said that a section of Sri Lankans are insisting on a judicial follow up to an admission of guilt. The Minister flatly denied that Sri Lanka is being pressured by the West-led UNHRC to yield to its ideas on establishing accountability. “ We are not doing these things to please the international community , but for our own good, namely, to bring about reconciliation and peace to this country. Even if the international community does not insist on accountability, we insist on it for the good of our country,” he emphasised. The proposed independent domestic mechanism will be a way of showing the world that the Sri Lankan judiciary has improved since the days of President Mahinda Rajapaksa when politicisation subverted it, the Foreign Minister said. 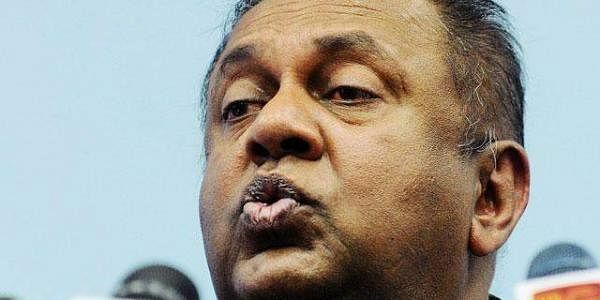 Further, the on-going reconciliation efforts, including the setting up of a domestic accountability mechanism, are in fulfilment of President Maithripala Sirisena’selection manifesto, Samaraweera said. He recalled that when he first went to Geneva in 2015, he took with him Sirisena’s election manifesto which promised an independent and credible domestic judicial mechanism, a proposal which the UNHC and the international community accepted. On what might happen in the March session of the UNHR, he said that Sri Lanka will be allowed to continue the many steps it is taking to bring about reconciliation and to set up various mechanisms to address issues thrown up by the war.